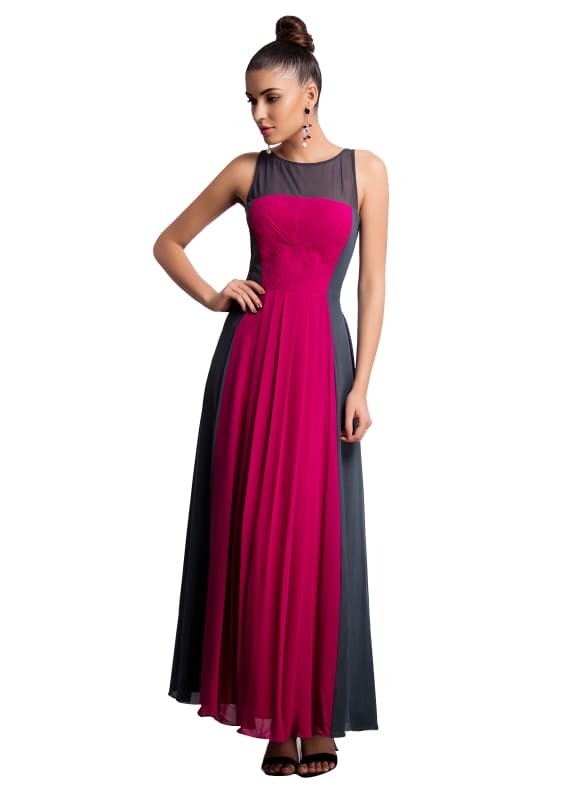 This georgette outfit is a deep pink and grey floor length maxi with a boat neckline. 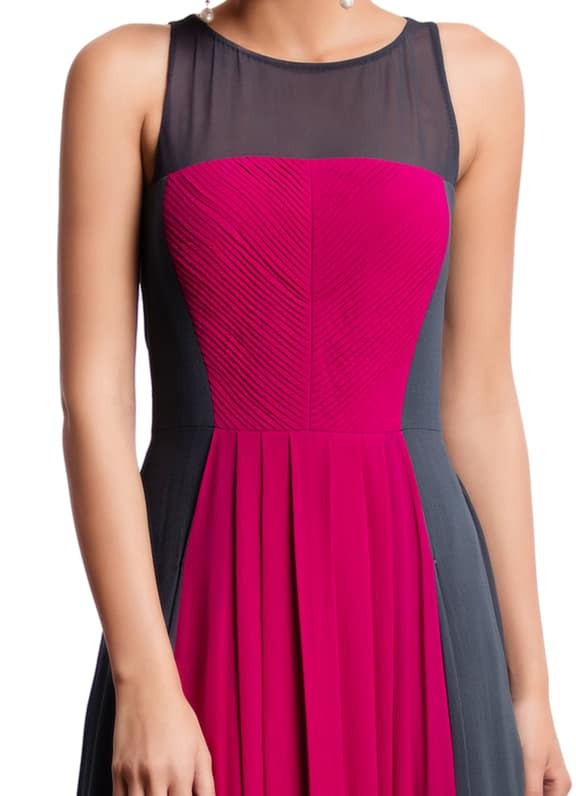 The sleeveless dress is fitted on the top and has front pleats for extra flare. 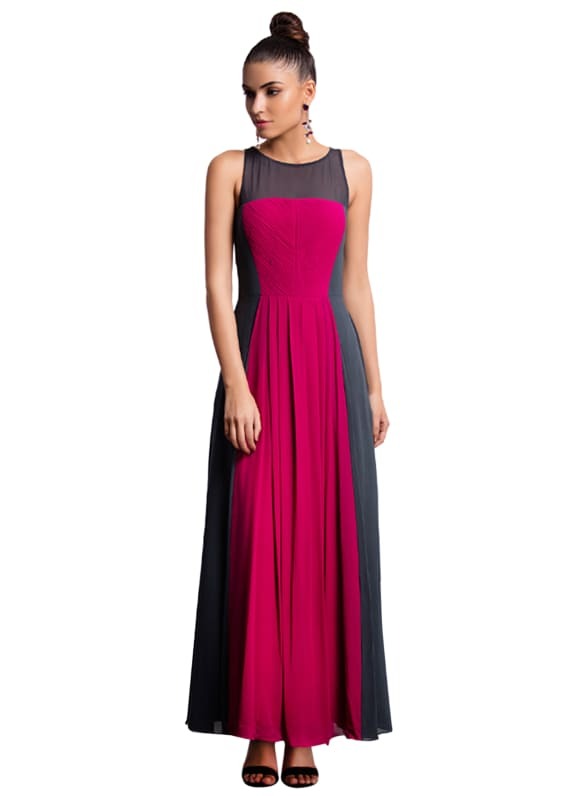 This eye catching Veda Raheja maxi dress is an amalgamation of grace and style. 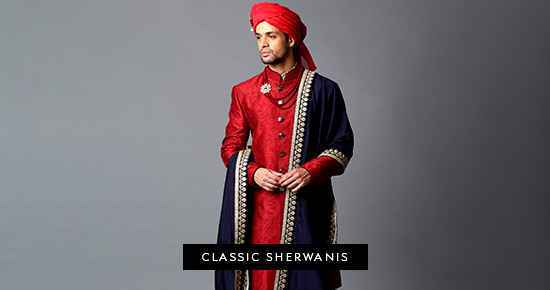 Perfect for an evening out with friends or a cocktail. The flared pleats make it flattering for all body types. Accessorize with a pair of stone earrings by Outhouse.